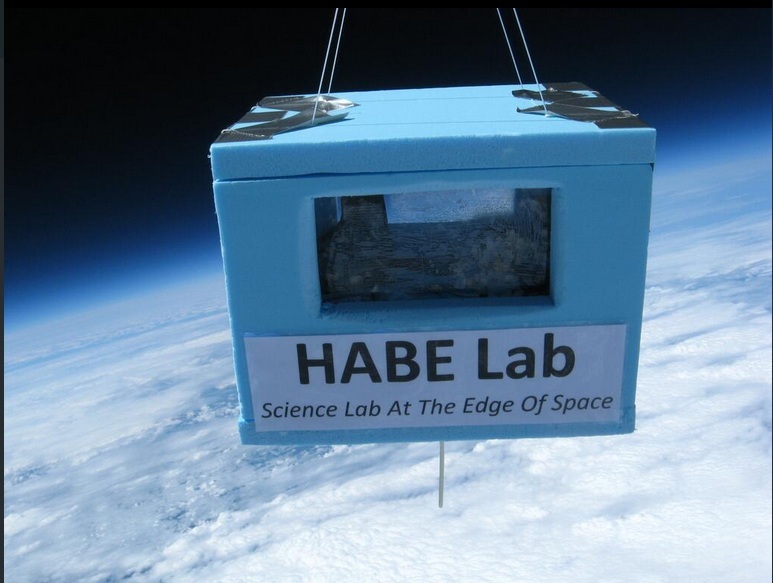 It isn’t as grand as the ‘chair in Space’, but this photo of the HABELAB payload gives a different perspective to HAB photography; but how was it done? The payload as part of Adam Cudworth’s HABELAB school project which was launched on Friday 21st June 2013 from Worcester, England. Flight details :Telemetry: $$LAB – 434.3 – 7n1 – 50baud with his new rev 3 HABE flight computer board along with 1/4 wave antenna; launching under a Pawan 1200g balloon filled with H2. The photograph and video of the payload was achieved by having to cameras sited at either end of a boom. The payload was then dangled from the centre of the boom.